So as we picked up lamps, I installed them around the house. This one provides some sorely needed illumination on the back steps. And we happened to be down in Portland a few weeks back, so we checked out Hippo Hardware, an impressive, three floor warehouse of antique (or at least used) lights, fixtures, and various other goods for the home. 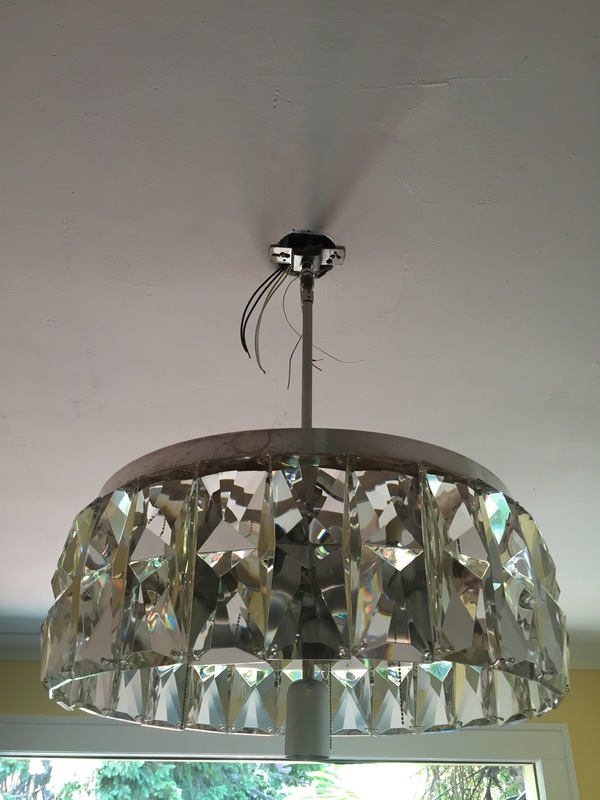 We picked out an awesome, vintage chandelier that looks like it might have been in service at a hotel or in the lobby of a mid-century building. 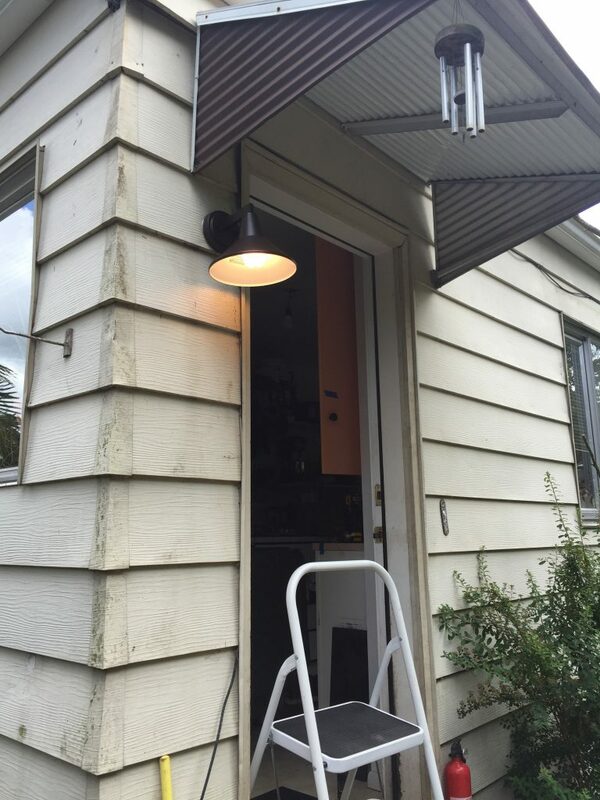 The price included re-wiring the fixture to UL standards (safety first! ), but that took a couple days, and we were leaving Portland the next day. So our friend Syd generously picked it up and schlepped it as far as Olympia. I went down and we had an only slightly sketchy handoff of unlabeled cardboard boxes in the parking lot of a mini-mart. Installation wasn’t too tough, especially with two sets of hands. 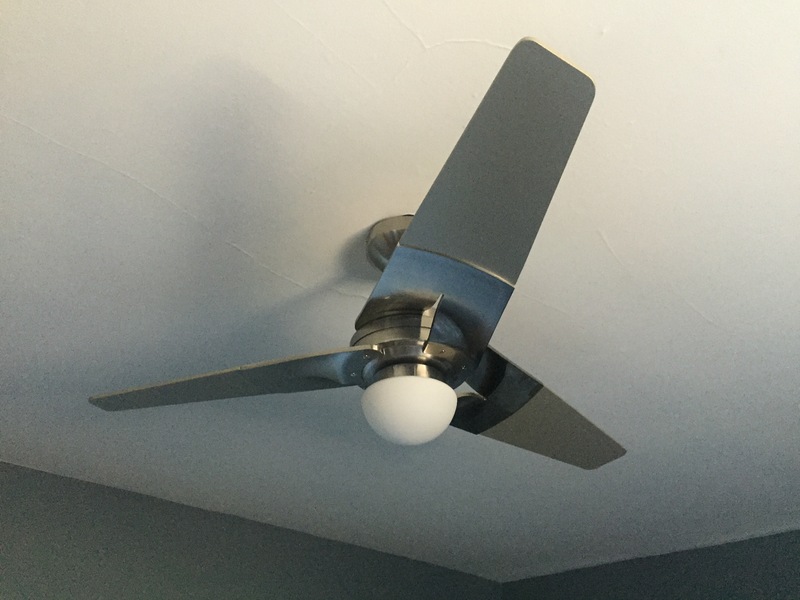 And we got this ceiling fan / light combo for the bedroom, which does quite a nice job of moving air without making too much noise. 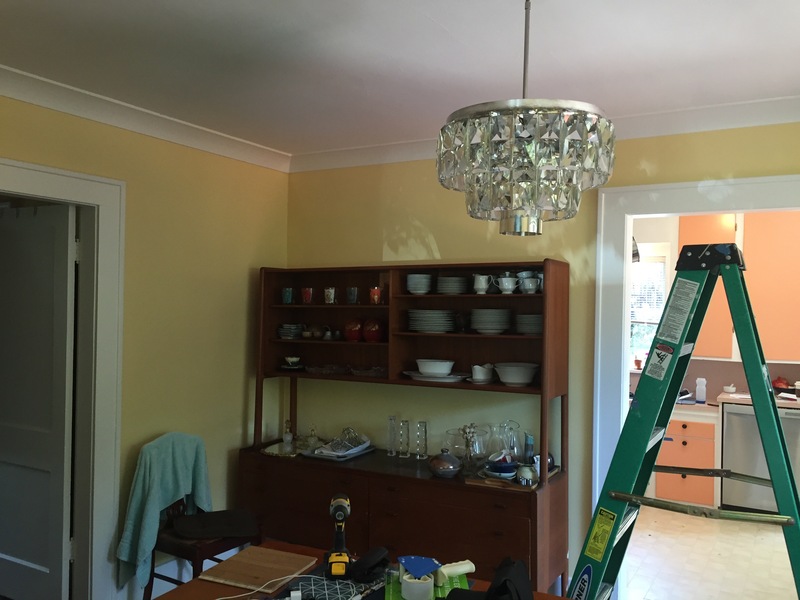 The rest of the fixtures so far have been either cheap placeholders (so we could get the electrical work inspected) or boring (in the home office). Not blog-worthy, either way. Along similar lines, we had the electricians put in can lights (recessed ceiling fixtures) in the living room and guest bedroom, and they’re quite nice. Nothing particularly fancy, but we quite like how much light they put out, and they’re obviously pretty unobtrusive.